Are you always struggling to find the right baggy to put your children’s snacks in? Are you constantly buying zip lock baggies to put their snack in every day? 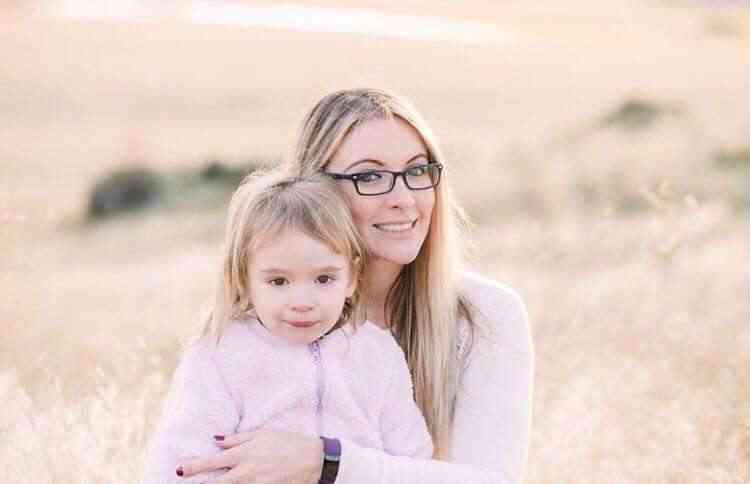 If you are a busy mom like me, then you know this struggle! 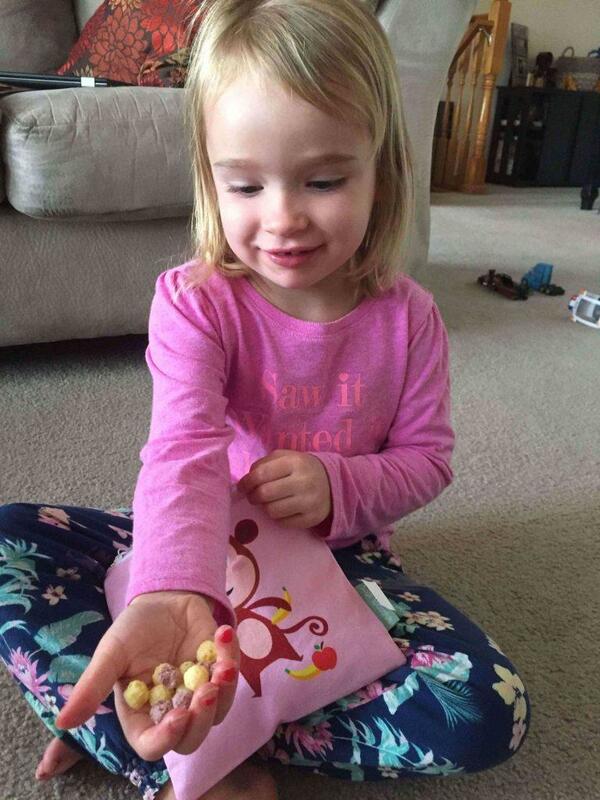 Every day my daughter wants to pack her snack to bring to daycare with her. She has gotten in the habit of taking zip lock bags to school everyday with a different snack in it. I have no idea how this happened, but the situation seems as if it is here to stay. That be said, I run out of zip lock bags every single week. When did zip lock bags get so expensive anyway? I have tried to get her to take a plastic container with her snacks in them but that just won’t fly. It was finally time to find another solution to how we bring snacks to school. In searching, I found many solutions! 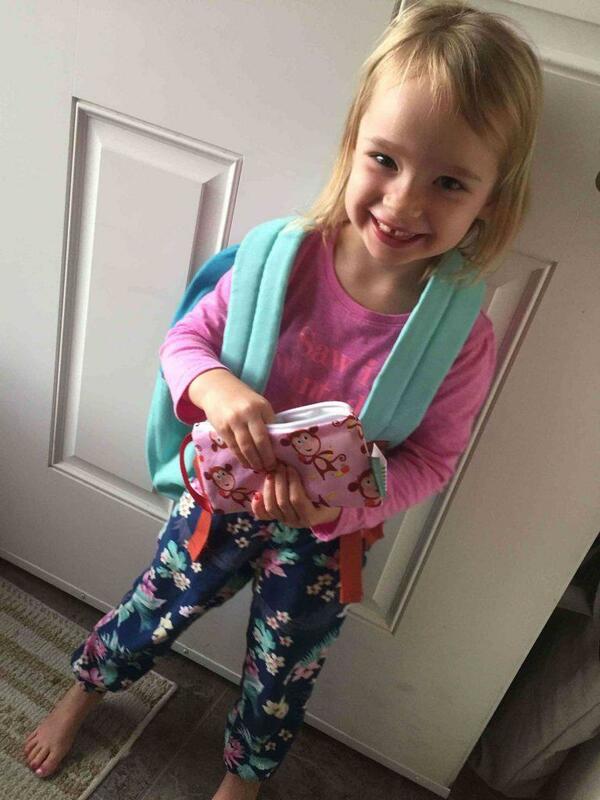 My daughter and I picked out our favorite snack holders that she would bring to school and she decided on the munchie bag set from Sage Spoonfuls. 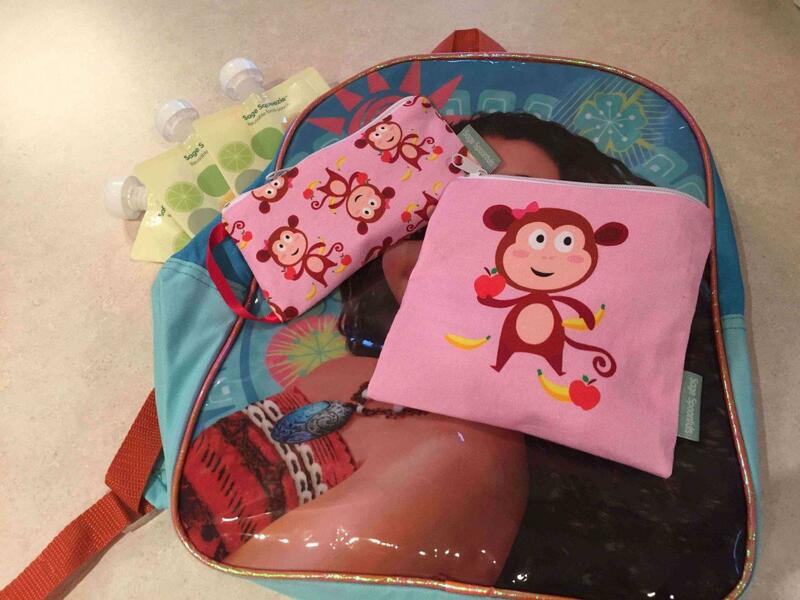 The designs of the munchie bag sets made my daughter shriek out loud with excitement! They’re not just for kids! “They are also useful for adults to carry things like keys, wallet, phone, jewelry, sunblock, makeup and toiletries.” This is huge for me because I always have tons of things I need to bring with me when we go to the park or sports practices and this would be helpful for me to put things like sunscreen in so it didn’t spill all over my bag. One of the key factors that drew me to their bags were that they could be washed out and they had a water resistant interior. Also they were super easy to clean and can be hand or machine washed. Do you make your own snacks or baby food? 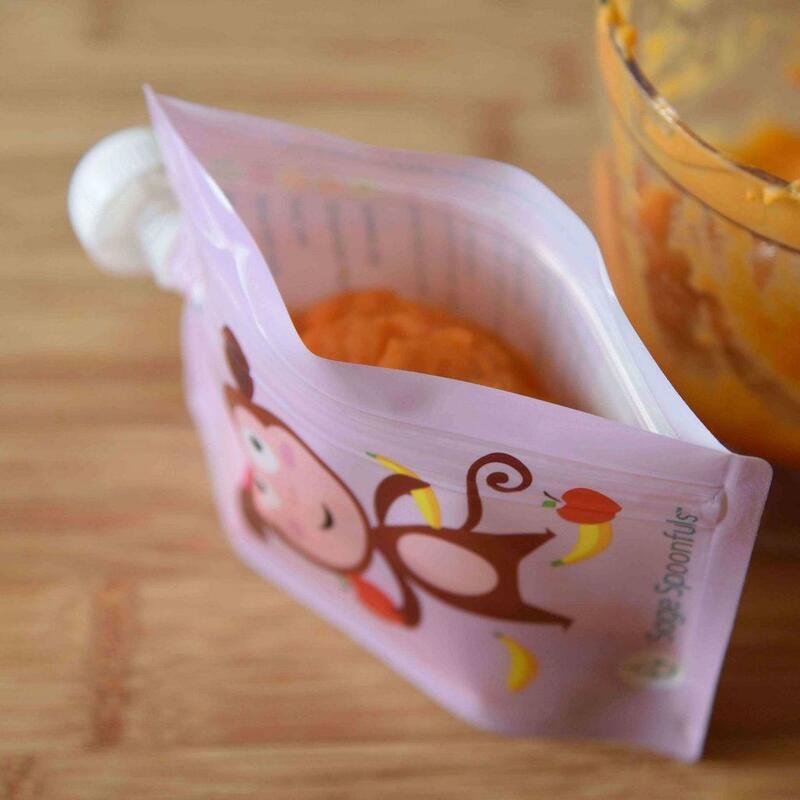 These easy to use reusable pouches are key for this! One of the best things about reusable pouches is that you can eliminate the amount of plastic + waste that ends up in landfills. This would be you doing your part to help the earth. Just a small thing like making your own snacks + using reusable snack bags or food pouches, you are making a difference. Plus you are creating healthy food for your children. Win win. Dishwasher Safe: Simply rinse out excess food and place over the prongs on the top rack of your dishwasher. Features rounded interior corners to ensure thorough cleaning – food won’t get stuck. My daughter and I were able to get ready all her snacks that should could bring to school. And she’s ready to go to school now! There are so many more amazing products on Sage Spoonfuls website. Make sure to go check it out – even their recipe posts are amazing! Cute bags and a great way to keep those dang ziplocs out of the landfills. 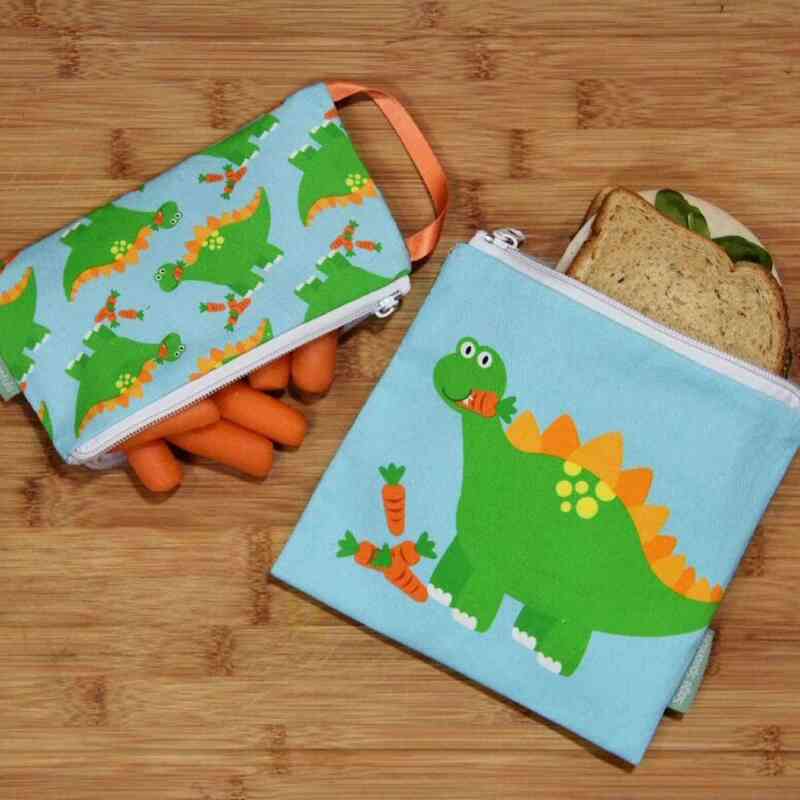 These reusable pouches are so cute! I am always on the lookout for reusable items like this. I hate using all those plastic zipper bags that you just toss in the trash…not to mention the expense! I have to start packing lunches again as we don’t qualify for free lunch anymore. My kids would LOVE to see these in their lunch boxes! Yesss these are huge ! So helpful ! Omg!! they are so cute!! <3 Love it! Can't wait to use snack bags once my little one is ready for school. 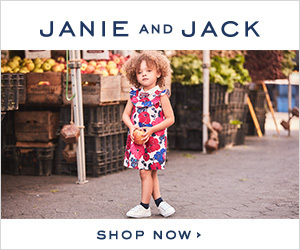 Yess they’re so cute !!! This is a great option for taking snacks on the go! 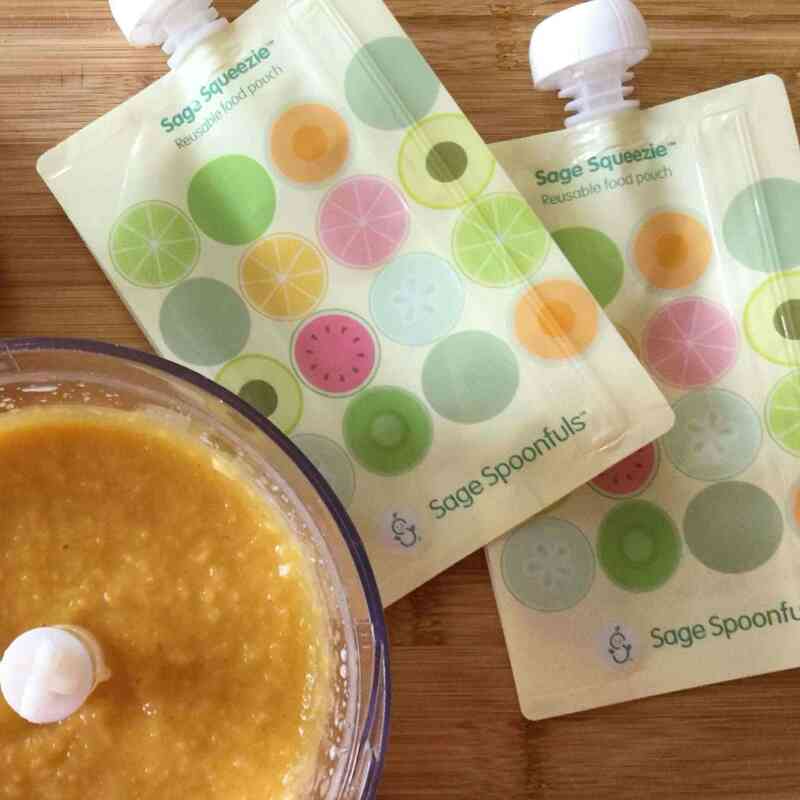 I recently purchased reusable pouches for my daughter and am looking forward to using them for homemade purees, filling with yogurt and applesauce. I like how environmentally friendly these reusable products are. I, like you, find myself going through A LOT of snack and sandwich plastic baggies. This is a great solution! Thank you for your review! These are so cute! 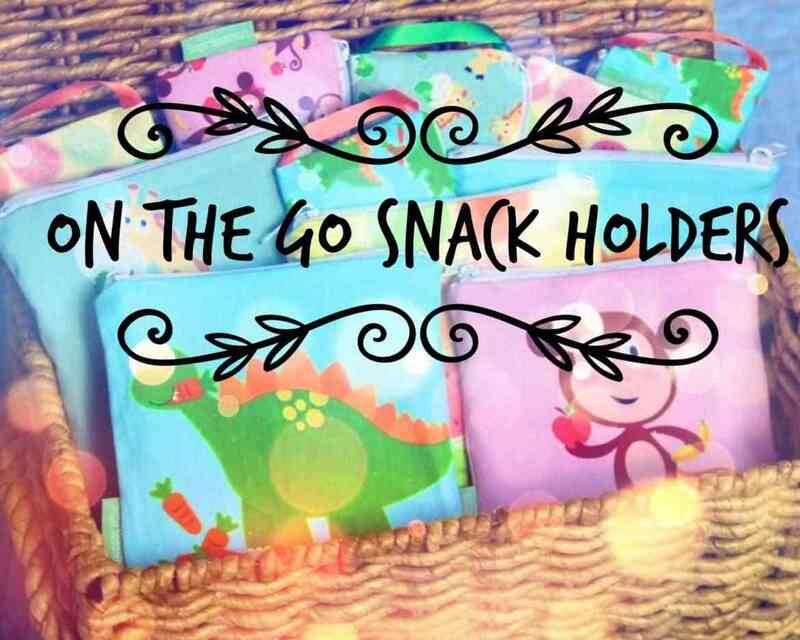 I need these because we always have to bring snacks wherever we go and these would be perfect for our family! Yes they’re so helpful !